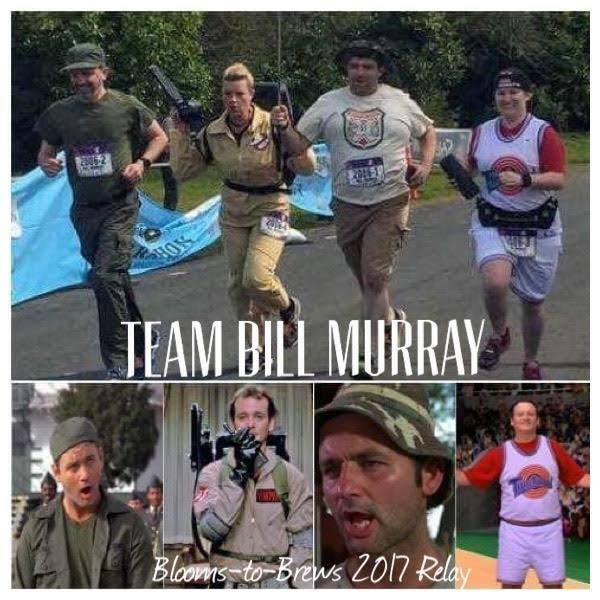 Marathon running can be a team sport! Gather your friends, co-workers, or family members to form a 4-person team, with each member running approximately 6.5 miles. We only have room for 100 teams to participate, so sign up early to ensure your team's spot in this awesome and fun event! The Marathon Relay begins at 6:45 AM together with the individual Marathon runners at Horseshoe Lake. At specified and well-marked exchange points (shown on the map as R1, R2 and R3), runners will meet with the next team member and send that new runner off on their leg of the race. Buses will take relay runners 2, 3, and 4 to their start locations and will bus runners who have finished their legs to within 1/4 of a mile from the finish line. Relay teams will meet their buses at Woodland middle School the morning of the race. Buses leave promptly at 6:45 AM; make sure you are on time (no transportation for late arrivals). Click below for descriptions of each leg of the relay and for a simple breakdown of the relay. All team members are encouraged to run in with their team and finish together. A special staging area will be located near the finish line where team members can wait for their finish runner! Please do not interfere with the other individual runners who will be finishing at the same time. To that extent, we prefer that relay teams be aware of anyone trying to pass them as they work to get to the finish line. No "human chains" are allowed. Want to do the relay, but can't get enough people together? Join our Get Bold Events Community Facebook Group and link up with some other runners! Click HERE to be directed to the Facebook Group.